The SSP and DSP single- and double-stud plate ties connect single and double studs to top and bottom track. Each can be used for either top- or bottom-track applications. 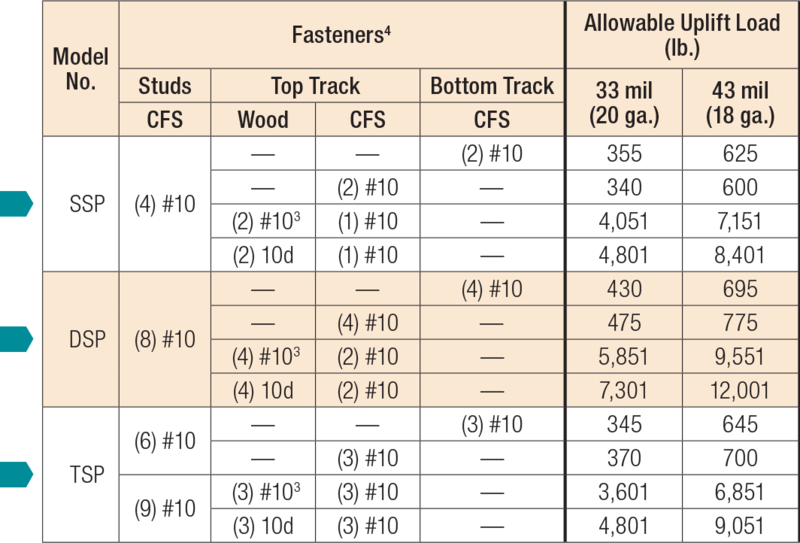 For wood plates, noted values only apply to DF/SP members where wood top plates are used. For SPF values, multiply by 0.86. For wood plates, when cross-grain tension cannot be avoided, mechanical reinforcement to resist such forces should be considered. Screws installed into wood plates with a minimum #10 x 3/4" self-drilling screw.